We are looking forward to The WISE Creative Pop Up Event where we will be rubbing shoulders with an array of designers SHOWCASING products all made in the United Kingdom. 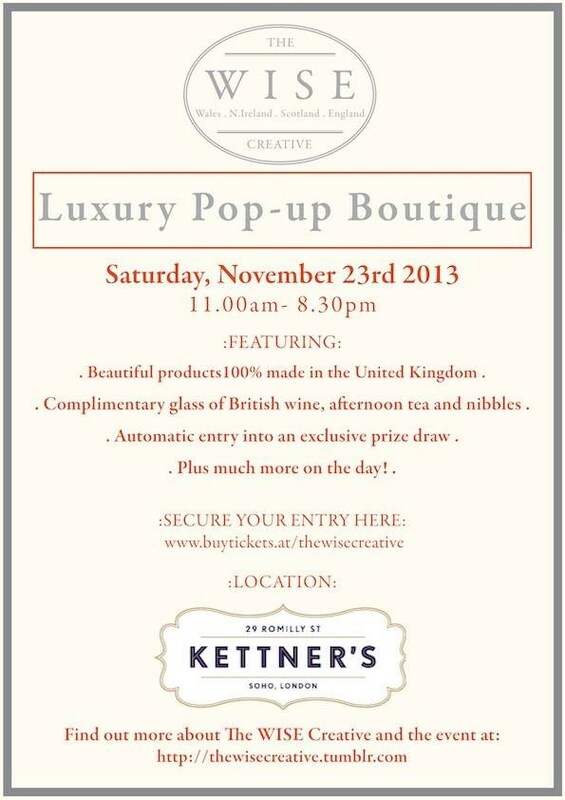 It's a 1 day event in the heart of the West End at Kettners and includes snacks, British wine and afternoon tea. Support the UK's design and manufacturing industry at this cosy, elegant event, and SOLVE YOUR CHRISTMAS SHOPPING DILEMMAS! In addition, we will be offering a 10% pre-Xmas discount on the day!